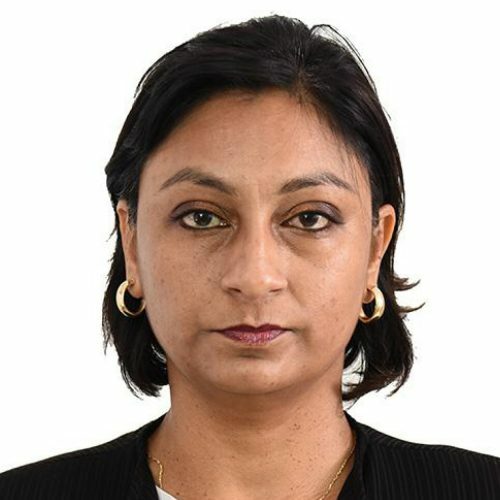 Sabrita Khan-Ramdhani has over 20 years’ experience as a lawyer. She is admitted to the Bars of Guyana, Trinidad and Tobago and Grenada. Ms Khan-Ramdhani worked with Government in Guyana as Crown Counsel, then moved to private practice there, engaging in all aspects of civil law. She also did considerable criminal work including murder trials in the High Court of Guyana as Defence Counsel. She was admitted to the Bar of Grenada in 2003 and worked with Government for just over two years in both the Ministry of Legal Affairs and the Director of Public Prosecutions as Senior Crown Counsel. During this time, she prosecuted many High Court Criminal matters including murder cases. She also represented Government in many aspects of Constitutional and Public Law. She joined the Law Firm of G.E.D. Clyne in 2006 as an associate. During this time, she continued working in all areas of civil law, with occasional forays into the criminal arena. Ms Khan-Ramdhani is an experienced Trial Lawyer with experience in many areas of law. In 2013 she started Ramdhani & Associates where she is a partner. Her practice includes commercial law, civil and criminal law.